Prevent derailments, and restore strength to our rail network with rail infrastructure repair solutions from URETEK. For over 150 years the rail network has been an essential component of the U.S. transportation system and economy. It has been reported that our rail network carries one-third of U.S. exports and delivers five million tons of freight, and approximately 85,000 passengers each day. The vast majority of the nation’s rail infrastructure is owned by the private freight rail industry, which continues to make significant investment in maintaining the rail network’s good condition. These railways that we depend on for transportation and freight have been built to last, however U.S. rail still faces problems of aging infrastructure. Prevention & proper rail maintenance is essential to keeping our rail network running smoothly. The need for fast mobility and delivery of railway restoration solutions is essential to mitigating the impact of rail track failure. 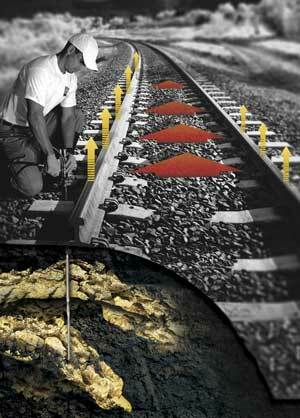 URETEK offers safe, fast, and reliable solutions for railway stabilization, leveling, and improvement. At URETEK, we understand the importance of stabilizing the underlying soil to ensure the structural integrity of an unstable railway. 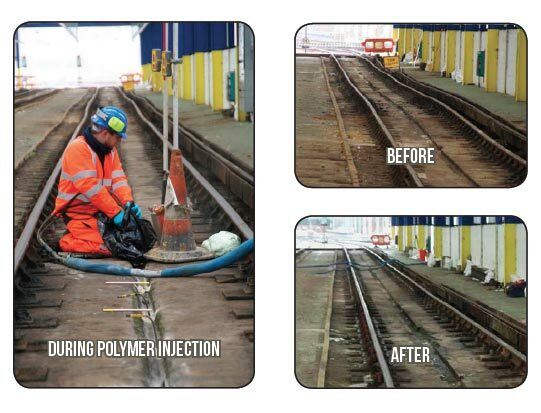 We have a history of success working with railway engineers on the repair & restoration of their tracks. The URETEK processes known as The URETEK Method® and The Deep Injection® Process, involves the injection of our high-density, lightweight, expanding polymer material directly beneath the affected section/s of track. This two-part polyurethane injection system fills voids, displaces water, stabilizes the existing sub base, and increases the overall load bearing capacity resulting in a restored & durable foundation for the railroad to run on. 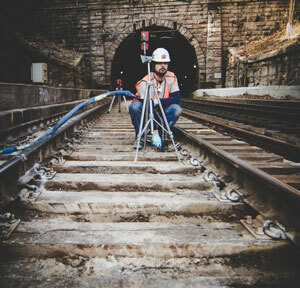 Where a section of track is settling or unlevel, URETEK can quickly level and stabilize the underground soil below the track while realigning the track itself. When poor concrete track bed conditions and water intrusion threatened a busy Amtrak line, Team URETEK was called in to help. Our technology utilizes small injection holes and requires zero excavation. Our solutions are fast and efficient. Time requirements are reduced to hours instead of days or weeks. Our solutions are strong and long-lasting. URETEK polymer is guaranteed for ten years against any loss of dimensional stability. Reduce liability from derailments, hazards, and more. Restore safety & strength back to railway tracks. Keep transportation and freight moving. Our fast repair methods get your rail line back up and running quickly. Our repair methods are environmentally neutral and have a very low carbon footprint. URETEK has been providing lasting and trustworthy soil stabilization, foundation repair, and concrete lifting solutions for over 30 years. With the most advanced product and service in the industry, a long history of success, and a commitment to research, innovation, and customer satisfaction… you can rest in knowing you’re in good hands with our team. STRENGTH: URETEK polymer is capable of lifting concrete over 100 tons with precision. POWER: The URETEK material expands up to 20 times liquid volume, increasing the soil load bearing capacity. FAST: URETEK material reaches 90% strength in less than 15 minutes. HYDRO-INSENSITIVE: The URETEK polymer was developed for use in saturated soils, maintaining structural rigidity and strength. MAXIMIZE PRODUCTIVITY. MINIMIZE SHUT DOWN.